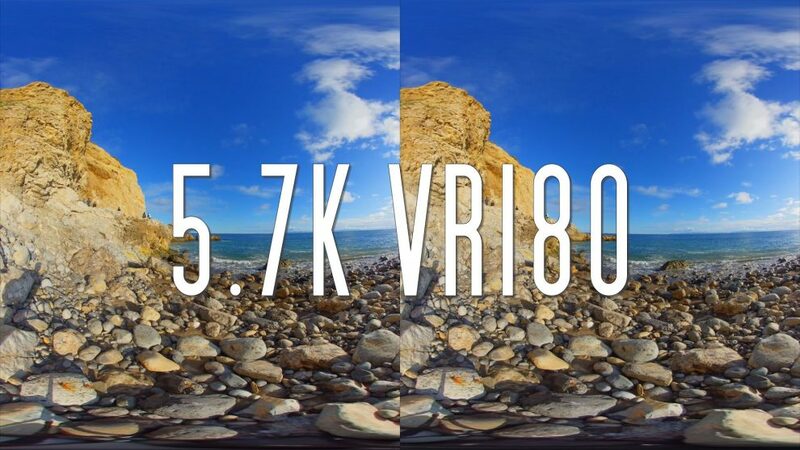 To see it in 3D 180, view it on the YouTube phone app and click on Google Cardboard icon, or view it on YouTube VR for Google Daydream, Samsung Gear VR, or Oculus Go. Please choose the maximum resolution. Update: This video was originally uploaded at 5760 x 2880, h264, 150mbps, stereo SBS with Premiere, but Youtube would only show up to 1440p. I reuploaded it, this time using the Google VR180 metadata injector and this time, it was able to show up to 5k 2880p. You can also try the Facebook version. To view the Facebook video in 3D, use the Facebook 360 app (for Gear VR, Oculus Go, or Oculus Rift). Surprisingly, maximum resolution I can download of this clip is 2K. Usually, I have a 4K download option for 3D 180 clips on YouTube. hmmm i’m not sure why. i’ll try uploading again. A video sample at the insta360 site shows a night shot with the milky way visible – does this camera really do that? The only plausible explanation I can think of is that the shot was taken by aliens on their way back to Andromeda. I got my Evo yesterday, I have to say I’m pretty disappointed. I think the image quality looks pretty bad outdoors unless you turn on HDR mode, but unfortunately there’s no way to do that unless you connect to the app. I figured there would be a way set a default video setting that it would remember Everytime you turn on the camera, but nope, it’s connect to the app or you’re just stick with normal video mode. Also, no one has mentioned the fact that the HDR video mode doesn’t work well with the stabilization. I prefer locked off shots for 3D, but it’s still something I wished I knew beforehand. I do think the 3D phone case thing (can’t remember what it’s called) is pretty good… Doesn’t eye track as well as my 3DS, but still cool when it works. > but nope, it’s connect to the app or you’re just stick with normal video mode. That’s why I have been holding out till something like the Yi Horizon which has an LCD display at the back for both liveview and camera settings. The Kodak 3D Pivot also will have an LCD display for adjusting settings. Not sure if either of these cameras will ever be released. But surely, a future 3D 180 camera should be released at some point with a built-in display so we’re not always forced to grab a phone to adjust a camera ! It’s actually the MOPIC Snap 3D that Insta360 renamed the “holoframe”. I think the eye-tracking quality varies with the phone you are using. Apparently some phone cameras are better at tracking than others. I think the new 3DS eye-tracking uses an IR lamp ? Not sure but I know the eye-tracking is excellent on that one. Probably the best eye-tracking I have experienced is on the InFocus M550 – a glasses-free 3D phone that uses SuperD technology with an IR lamp. It tracks flawlessly. Unfortunately, it’s no longer available. I lost hope of the Horizon ever coming out a long time ago. Even the webpage for it has been dismantled for months. I also doubt we will ever see the Horizon if for no other reason than the fact that Yi appears to have completely redirected its focus to home security products. Anyhow, Yi support is rather poor as is obvious on their VR360 FB page. I rather think the 3D 180 camera I dream about will come from an unexpected source. Mic, were the non-HDR videos here shot in log or just normal color?